PSG pulled off the two biggest signings the game has ever seen, but is the club properly balanced enough and poised to achieve its true goal and win the Champions League? There is a sense in which the signing of Neymar was an end in itself for Paris Saint-Germain, or at least for the club’s owners. It was about soft power, about asserting Qatar’s place in the world in the face of recent political developments, and the Brazilian was a willing and well-remunerated pawn in a far bigger game. 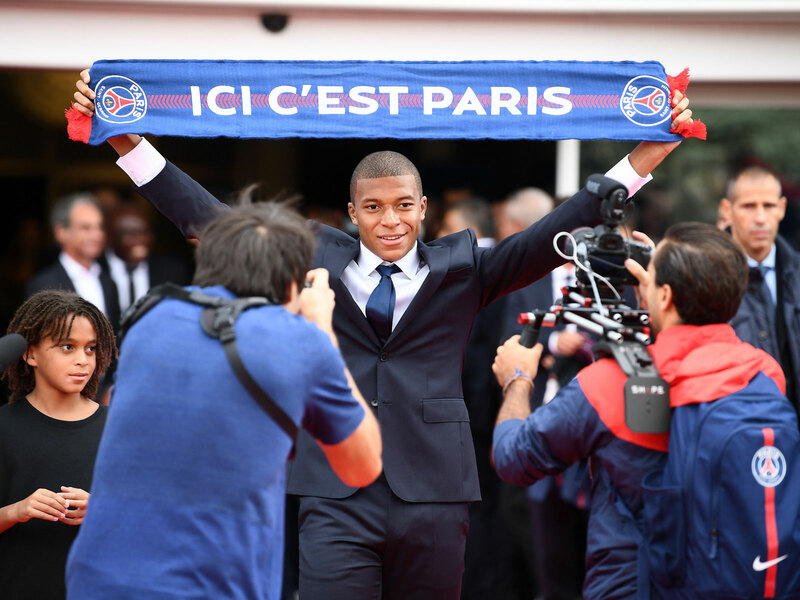 Landing Kylian Mbappe on a Financial Fair Play-testing loan was also a statement: this is PSG, it is funded by Qatar and, despite everything, it can still pay extraordinary sums to land the brightest talent in the world. Mbappe should make his debut against Metz on Friday and offer the first clues as to how the front of this PSG side should work. That’s the next stage. Having spent enormous amounts of cash, the expectation will be for success–not merely domestically, where the league title is all but guaranteed, but also in Europe. PSG has only once gotten as far as the semifinal of the Champions League and that was as long ago as 1995. It may be that the spending has already achieved its primary aim of making people sit up and take notice, but mockery could easily follow if the outlay is not followed up by results on the pitch. Transfer Grades: Who Benefits from Deadline Day's Biggest Moves? PSG, it should be remembered, although it finished second behind Monaco in the league, produced one of the best Champions League performances of last season when it beat Barcelona 4-0 in the first leg of the last 16. That game seemed to suggest it had finally arrived as a European force, that it finally felt it belonged at the top table. For 89 minutes of the second leg it seemed to be going through fairly comfortably, but those last seven minutes at the Camp Nou, in which panic set in and it conceded three times, ruined everything. Signing Neymar has at least made sure he can’t do that to them again. But the oddity is that what cost PSG wasn’t its attacking prowess. It was a failure of defensive resolve brought about by mental collapse. Edinson Cavani perhaps isn’t the most consistent or reliable of strikers, at least not at the very highest level, and that PSG wanted an upgrade isn’t a great surprise, but Cavani wasn’t to blame at Camp Nou. The danger of bringing in two such high-profile attacking players is that it makes the squad top-heavy. So far this season, PSG has always fielded a 4-3-3. In the three games since Neymar made his debut, he has operated from the left, although often ghosting into a deep-lying central role, with Cavani in the middle and Angel Di Maria on the right. Given Cavani has scored five goals in four games so far, he can reasonably expect to start, which would mean either he or Mbappe takes up a notional right-sided role. Di Maria then drops out, or he could fall back to join the midfield three, where he has been successful in the past, certainly against lesser opponents. PSG's strength of the past few seasons has been its midfield, the platform provided by Tiago Motta, Marco Verratti and, initially Blaise Matuidi but more recently Adrien Rabiot, after Matuidi's departure to Juventus. It was tenacious but technically good, offering an ideal balance. With Verratti suspended for the last game, a 3-0 win over Saint-Etienne, Javier Pastore operated on the right of midfield. Against lesser opposition, PSG can get away with that, with Rabiot and Motta effectively acting as a two-man shield for the back four and the third figure as a creator, but there is a risk that what works in the French league may not be so effective at a higher level. This has long been a problem for PSG–as it is for Bayern Munich and, to a lesser extent, Juventus and Barcelona and Real Madrid. They are so dominant domestically that the game becomes all about attacking. Neymar’s performance against Toulouse on his home debut, when PSG won 6-2, was a carnival as he scored two and performed trick after trick, like a teenager showing off in a kickabout with his little brother’s mates. That’s all very well against a mid-table Ligue 1 side, but PSG cannot expect to play that kind of football against Bayern, whom they’ll meet in the Champions League group stage, and perhaps not even against Celtic or Anderlecht, its other two opponents. Even accepting the power of a front line that can play three from Neymar, Mbappe, Cavani and Di Maria, that may not be enough. Although Barcelona won the Champions league with the Lionel Messi, Neymar and Luis Suarez forward line, it never hit the same heights as it had with Pep Guardiola’s more integrated side. And that’s always the problem with a galactico model: it leads to individuality and to the team playing in blocks rather than as an integrated whole. That may be great for marketing, it may produce great highlights reels from the French league and it may even, given the structure of the competition, land the Champions League at last, but it is not the inter-related, mutually multiplicatory whole that perhaps should be the aim of the very best sides.